What a great idea! Love your essential oils??? Now you can take them with you everywhere you go. This is a Antique Sliver Plated Filigree Locket. Designed with an open flower shape design that allows scents to travel out of it, decorated with a flower rhinestone on top on a simple chain (please choose length). You will receive three felt pads and a card explaining how to use your aromatherapy locket. 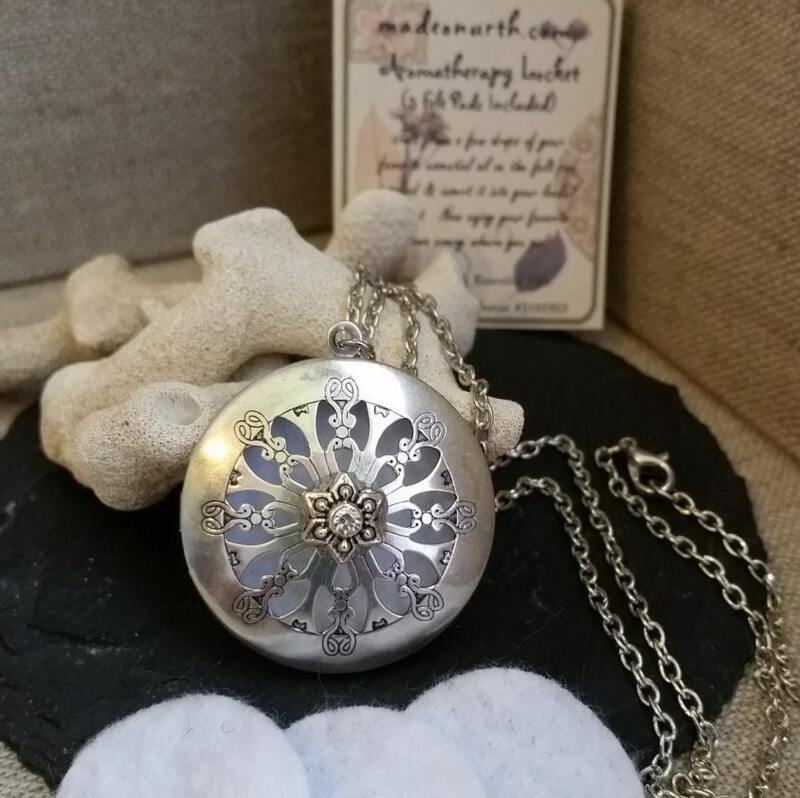 Just place a few drops of your favorite essential oil on the felt pad and insert it into your locket pendant and enjoy carrying your favorite scent with you everywhere you go. It's a boost of energy and a perfect recharge throughout the day...I love mine and enjoy it in all places, camping, doctors office, red lights, etc...get ready to fall in love with yours.